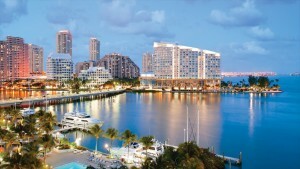 Miami is the largest real estate market in Florida. There are many cities surrounding Miami with different residential and commercial real estate markets, and it is important that any property tax consultant be a local real estate market expert. ARE Solutions Property Tax Consulting Services has handled hundreds of property tax appeals in Miami and throughout Miami-Dade County. We have handled property appeals ranging from million dollar homes in Miami Beach to strip centers located in the city of Miami and several other property types in between. ARE Solutions Property Tax Consulting Services lowers Miami property taxes for real estate owners; we cover the entire states of Florida and Georgia with property tax appeals in over 25 different counties. If you have questions about whether or not your Miami property is a good candidate for a property tax assessment reduction, call ARE Solutions Property Tax Consulting Services. We have a proven track record with outstanding success, and our process has resulted in the maximum property tax savings for the clients we represent. Property taxes have been rising in Miami-Dade County since the real estate market began recovering. If you have any questions about whether your Miami property is over assessed, call us today. Our real estate tax professionals are here to answer any questions you may have. Feel free to visit our Florida page to learn more about the process.